In my home staging business, I always find it interesting how many clients I meet with who say that they want to sell as quickly as possible. No matter what the situation is: a nasty divorce, a new marriage, an estate sale, financial problems, the list goes on…. Inevitably the client has waited till the house has been sitting for months, sometimes a year, before calling for help. It’s no secret that today’s real estate market is a tough one – there are a ton of other houses on the market to compete with and it’s getting harder for the homeowner to make money on the sale. Here’s the thing. You can’t say that you’re truly trying to sell as quickly as possible, when you’re not using every tool at your disposal to compete. 1) Set the Stage: If you live in your house, chances are that you will have a difficult time being objective and seeing the property from the buyer’s perspective. 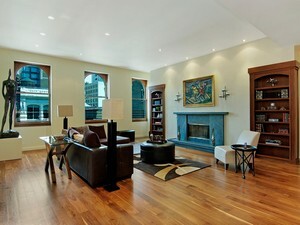 A Home Stager can provide the objective perspective that you need to know to make your property stand out to buyers. Making sure that your house shows well includes making sure that it is spotless, in good working order, and you have the ideal combination of furniture, lighting, color and accessories to showcase the property’s most positive features. 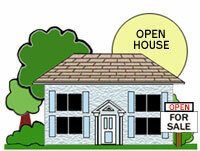 2) Priced To Sell: A house is only worth what the market (a buyer) is willing to pay for it. It doesn’t matter how much you paid for it 10 years ago or how much you overspent on renovations. If you want the house to sell quickly, price it slightly below market value, and make sure it shows well (see above). 3) Hire A Professional: Unless you’re a real estate agent, by far the most effective way to sell your home quickly is to hire a competent real estate agent. A good real estate agent will provide exposure to a broader market than you can reach on your own and will qualify and negotiate with buyers on your behalf. Don’t waste time or money when trying to sell your house quickly. Use all of the tools available to you – home staging, pricing, and a real estate agent – and you will be amazed at the results! After more than 3 months on the market with no offers, I received the call from the broker. Her prospects were not impressed with the $5.9 million penthouse she listed for sale in New York City’s trendy Soho neighborhood. She needed it to be staged to attract a younger, male, target buyer. To request a complimentary staging proposal to bring in the buyers, call our office in New York City (646) 863-7173 or in Southern Connecticut (203) 404-3236. 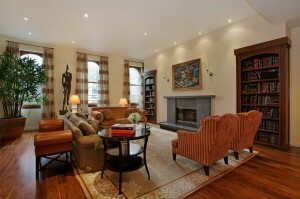 Listing Broker: The Corcoran Group, Rose Ann Nielsen, (212) 875-2974.